The LiteConsole MKII is the must-have DJ booth for anyone looking for the right blend of functionality and sleek design. 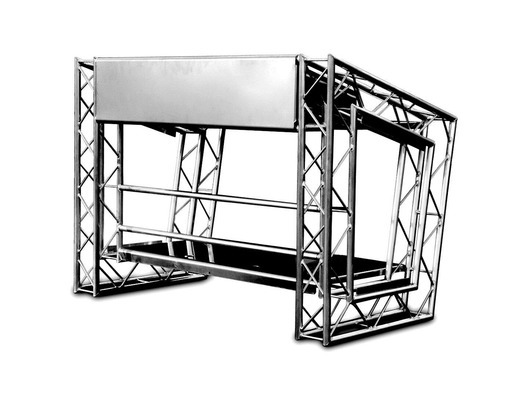 With an enormous amount of storage space the LiteConsole MKII enables you to comfortably house all of your equipment while maintaining an impressive stage-presence; the spacious shelves will accommodate laptops, turntables, CDJs, mixers, samplers, or even cases and carry bags, which you have the option to leave on display or hide with a cover. The concept behind the original MKII was to provide todays modern DJ with not just a stand for them to put their equipment on, but to add a whole new dimension to performance and stage presence. The stylish looks and sleek, contemporary lines of the design make the MKII the go to performance platform for professionals and mobile DJs alike. 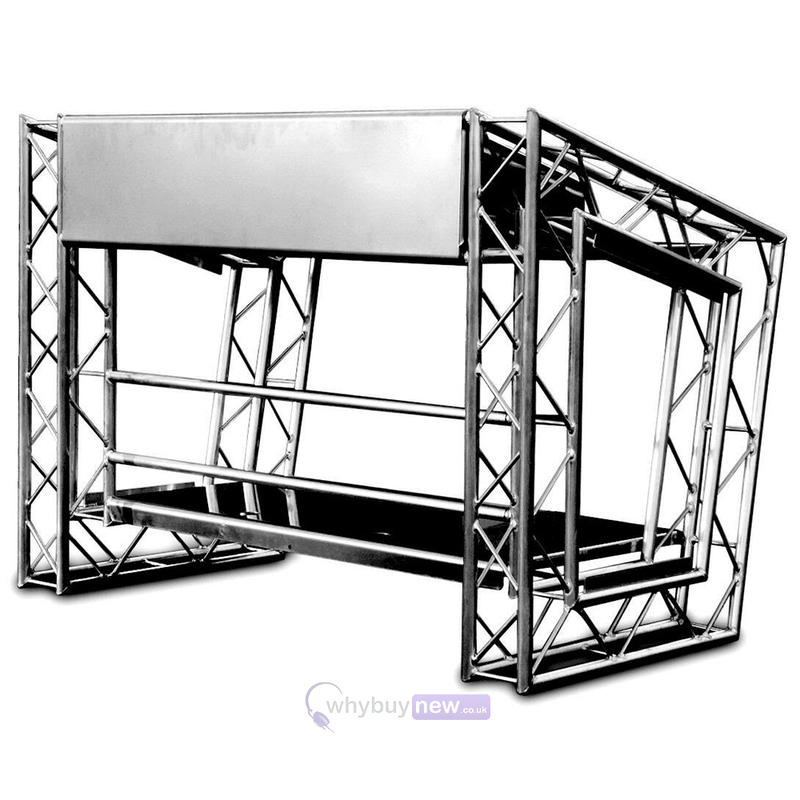 The MKII is finished in natural aluminium which looks stunning under all lighting conditions whether you are on a huge festival stage or at an intimate function venue. Upon request, we can provide options to produce the MKII in the colour of your choice, the perfect way to truly personalise your performance and show your individual style. 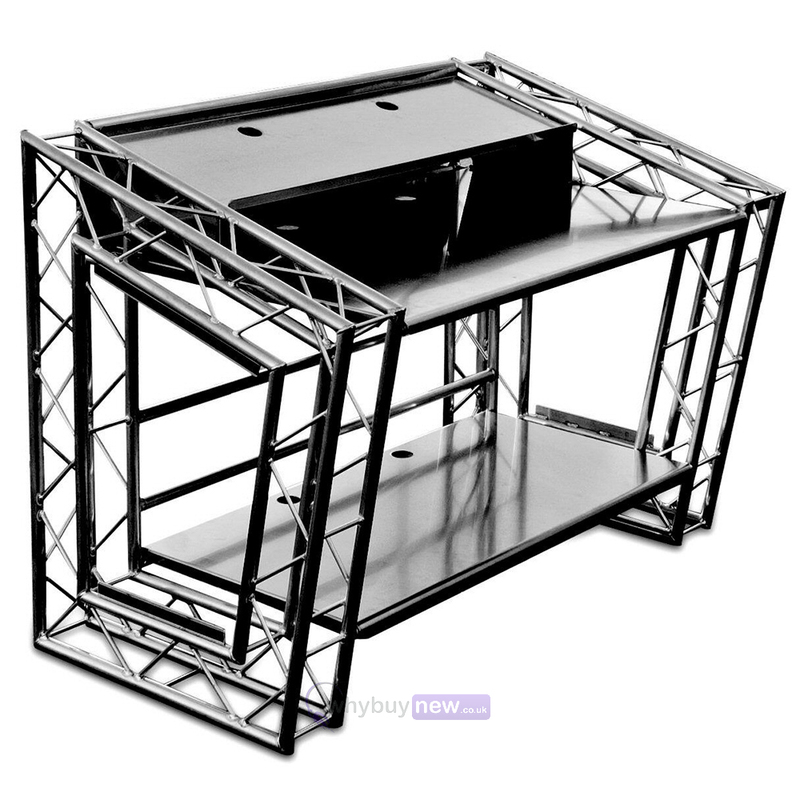 Take advantage of our ultra-smooth powder coating in black or white to really make your LiteConsole MKII stand out. The LiteConsole MKII can be set up in almost no time at all leaving you more time to perform and wow the crowd. Set out the frame and connect the left and right side together with the poles provided. Secure these with the included pip pins, place the shelves onto the relevant section of the MKII, attach the front aluminium fascia and youre done. Once mastered, it takes less than 5 minutes.